No matter how many times I watch it, I never tire of the holiday classic “It’s A Wonderful Life”. 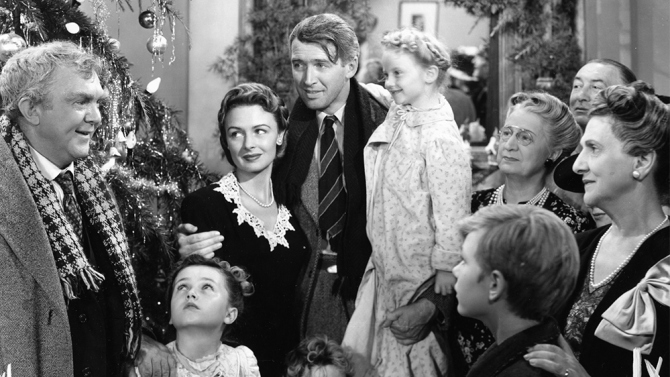 Year after year, Frank Capra’s 1946 film stirs up the Christmas spirit in me more than any other holiday film. Its timeless message of the how the good of mankind ultimately prevails through the hardships of life brings an annual tear to my eye, and for me, captures the true essence of the holiday season. 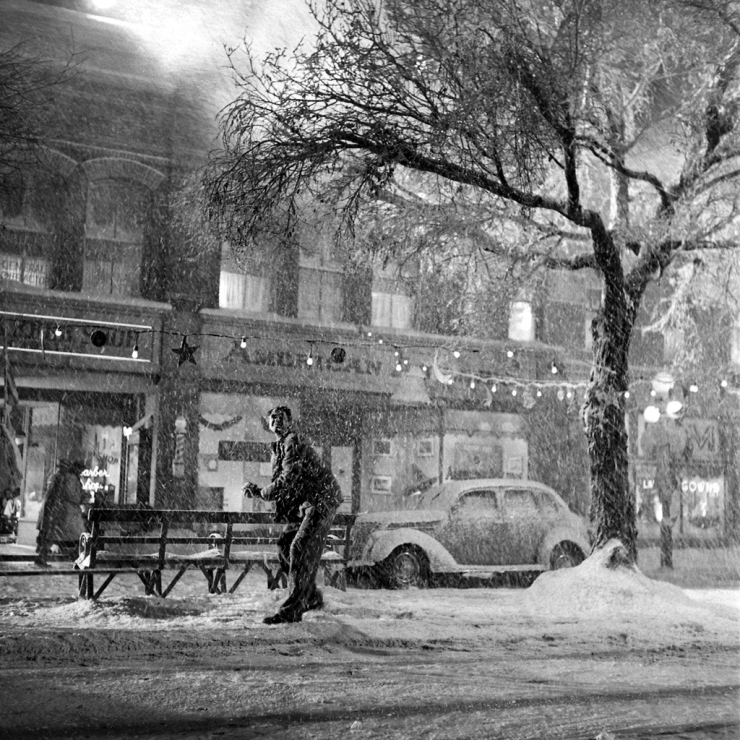 The film was released in 1946 produced/directed by Frank Capra based on the short story “The Greatest Gift” and features the fictional town of “Bedford Falls” where the life of George Bailey played by actor Jimmy Stewart takes place. Bedford Falls does not really exist, but it bears a remarkable resemblance to a real-life town called “Seneca Falls” in upper New York state. Capra apparently visited Seneca Falls in the 1940’s so perhaps this influenced his screenplay for the film and provided the backdrop for this classic film. 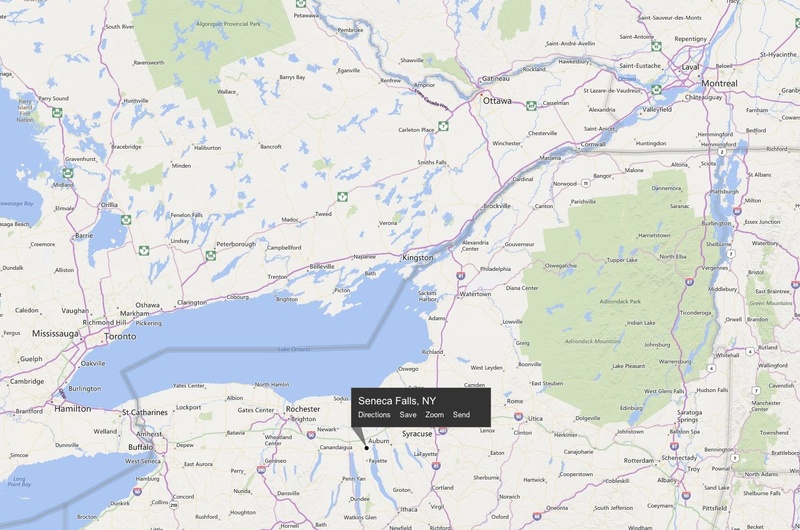 There are numerous references in the film to various places in New York state, including Rochester, Albany and Syracuse, all towns that are in close proximity to the real life Seneca Falls. 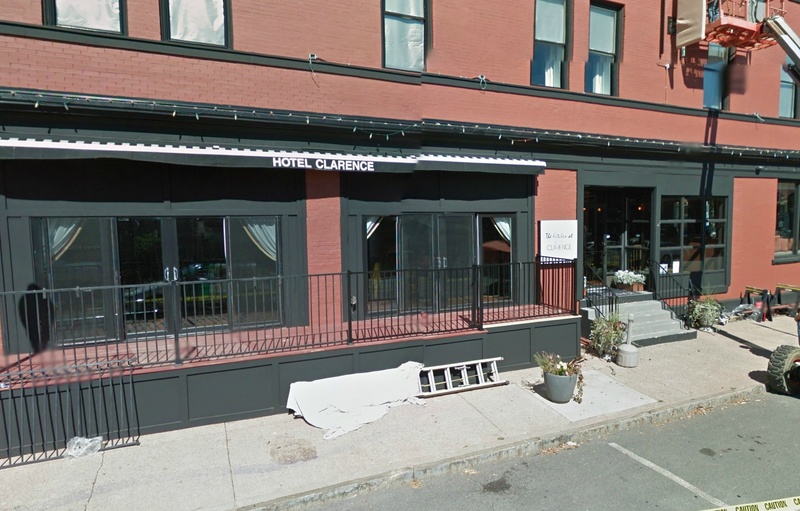 So let’s visit Seneca Falls through the use of technology and Google Streetview maps to see what other similarities may exist in this wonderful town…. 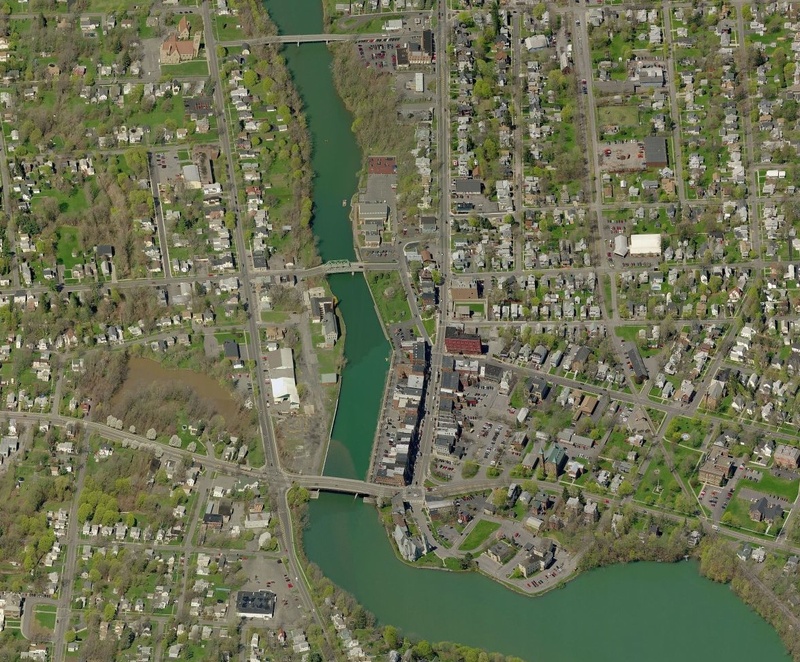 The town of Seneca Falls that shows the main street, bridge and other elements that are similar to those in the film. A key element in the film is the bridge from where George Bailey jumps into the icy waters below…this bridge bears a close resemblence to the bridge in the film. 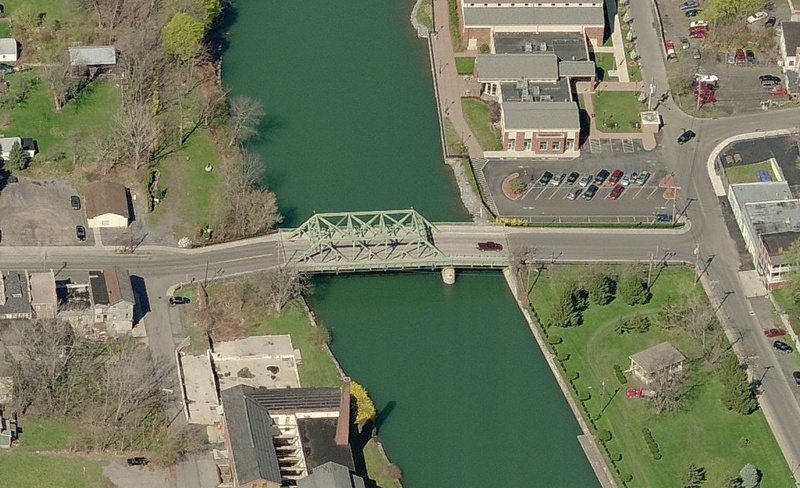 Here we see George on the bridge in the film, and on the right, the bridge in Seneca Falls. 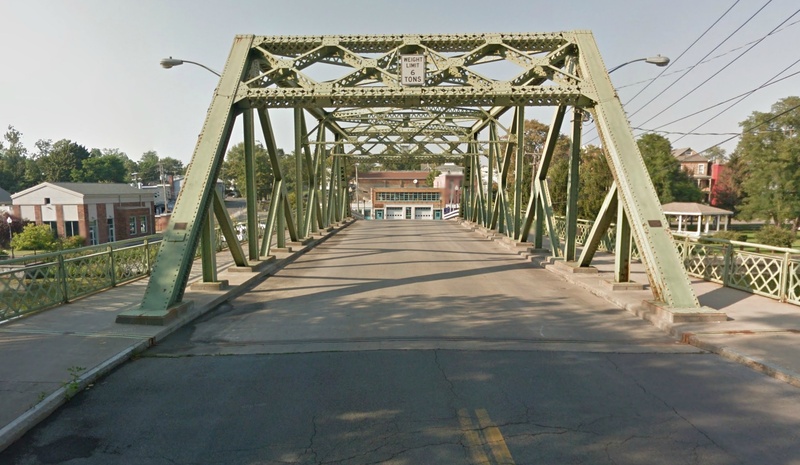 A Google streetview allows us to cross the bridge. 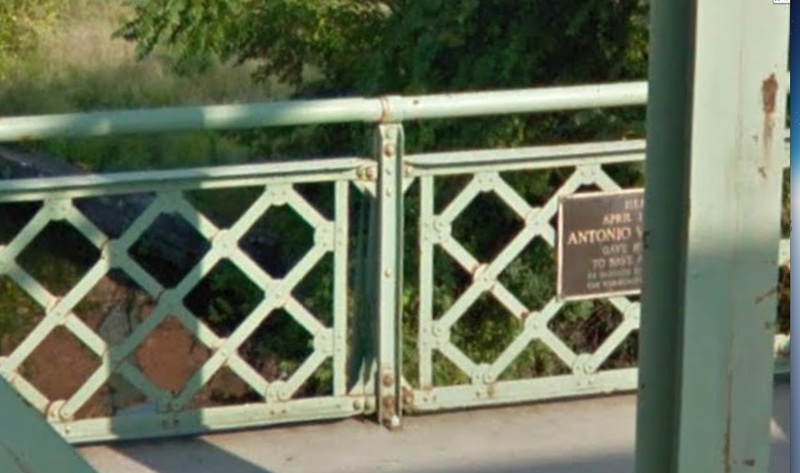 Zooming in on a streetview of the bridge there is a plaque noticeable…. 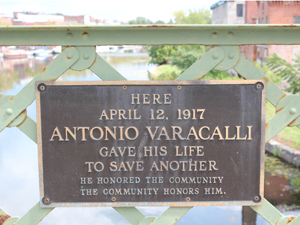 A closer photo of the plaque on the bridge indicates an incident where a man jumped into the river to save someone’s life, remarkably similar to the plot point in the film where George jumps off the bridge to save the life of a drowning man. Was this incident the inspiration for Capra’s film? 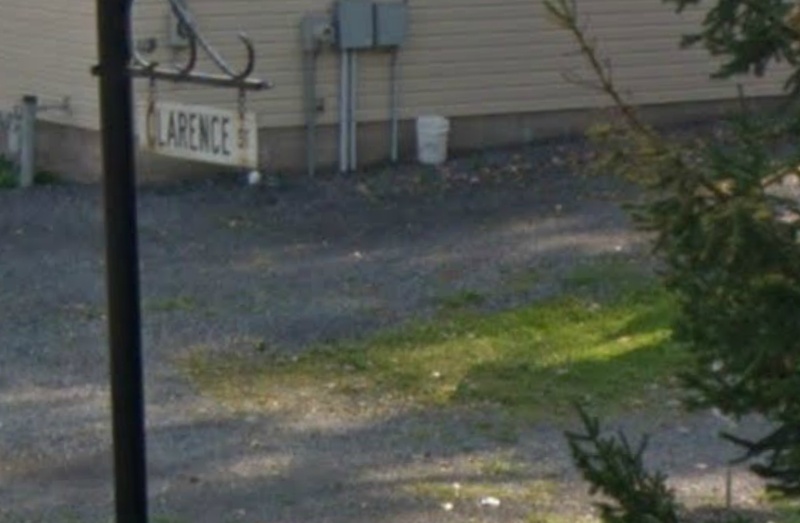 Google streetview reveals the name of the street the bridge is on. Clarence was the angel in the film that George rescues from the river. 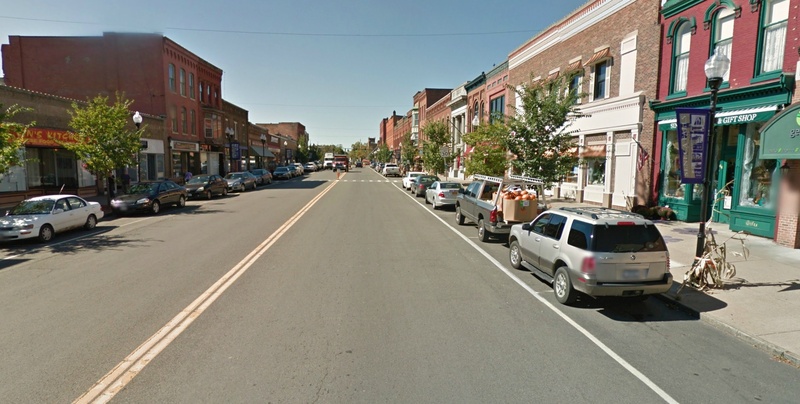 The main street of Seneca Falls looks a lot like the film version of the town that’s called Bedford Falls. 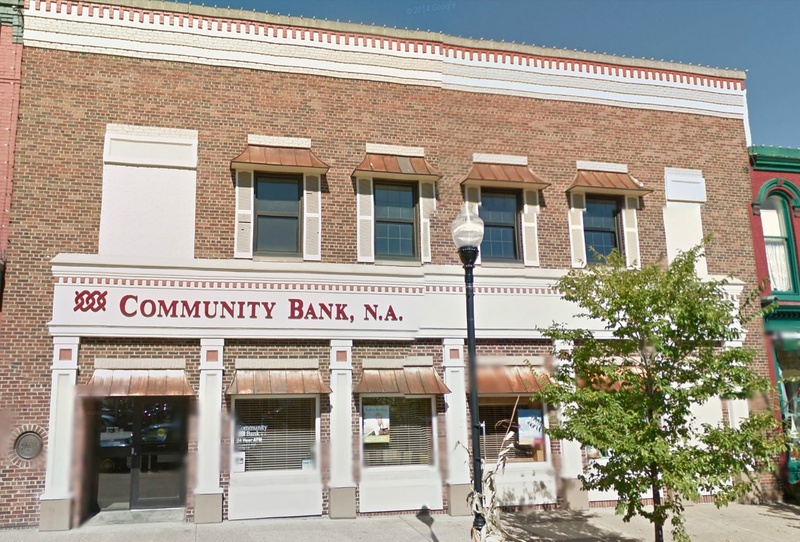 Is this building on the main street the inspiration for the Bailey Building and Loan business featured in the film? Mr. Potter, the greedy villain in the film shares some interesting similarities to Seneca Falls resident, Mr. Gould, a businessman that owned a lot of the town and properties and was involved with politics. Gould also owned the hotel and was known to drive around town in a large expensive automobile.